Septic system problems are not pleasant. If you have sewage in your yard, toilets that don’t flush, slow drains and other plumbing problems, you need septic pumping or repair. We are experts at taking care of these problems. Experienced professionals get the job done! 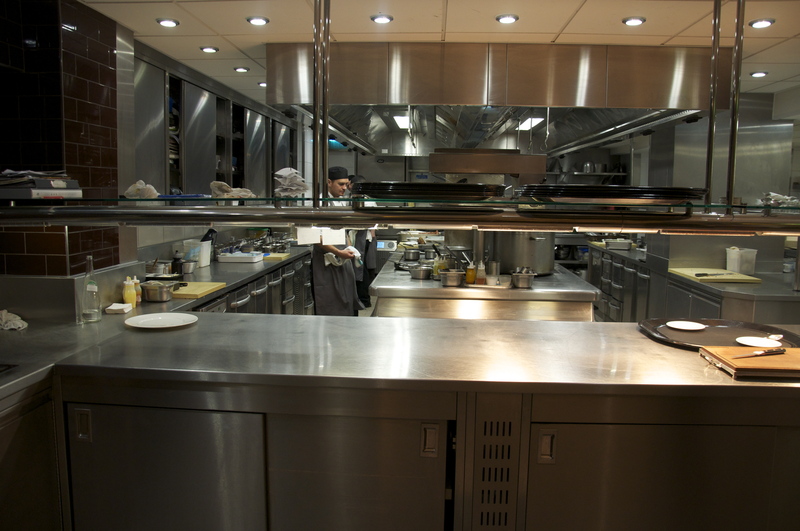 We can take care of every stage of a new installation, or the replacement of an older system. And guide you on follow-up periodic maintenance. If it’s been a while since you’ve had your septic tank pumped we can inspect the system and pump out your tank if needed. We’ll also help you to know how to maintain some items yourself. Your plumbing system may not be the first thing on your mind. Leave that to us. If you have a plumbing issue, it could be a messy situation. We know how a system should work correctly and we will get your system repaired and up and running. If your septic system isn’t working properly, let the knowledgeable and skilled professionals know. Skip Wooten installs new systems for replacement of old or damaged systems, and we also install drain fields sized on the house. Sewer lines need to work well from the house to septic tank. Skip Wooten can install user-friendly devices for D.I.Y. We also offer septic tank permitting. Septic repairs most of the time are drain fields, the tanks are usually in good shape but its always worth having a system checked twice. Contact us today. 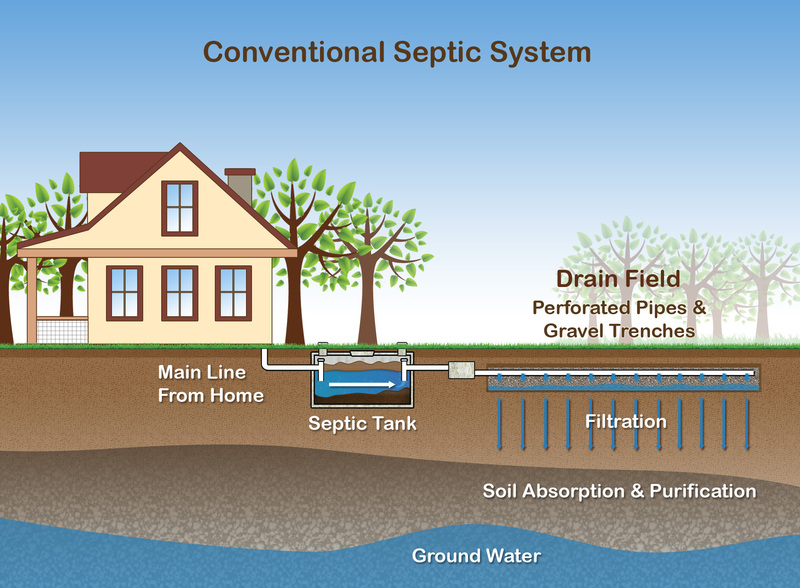 Are you interested in installing a septic system for your home? Septic systems are environmentally safe options. We can have our technicians survey your property help determine the right system for you. Systems deserve thought for location prior to install due to future plans, yard, add-ons​, patio, driveway, etc. 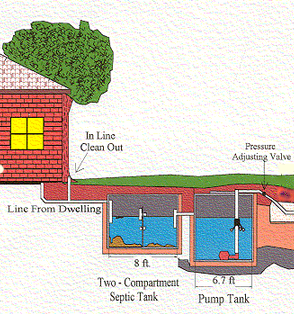 If you are planning to install a septic system at your home. Contact us today. Septic tank abandonment is done to safely remove unused, old septic tanks to avoid building or inspection concerns. 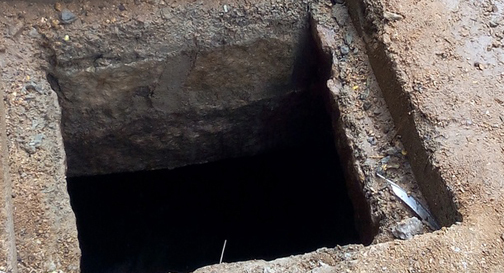 An abandoned septic tank can be dangerous to the homeowners, they can create dangerous sinkholes around the area if not professionally. Thankfully, Skip Wooten Septic Service is not only trained in safe and effective septic tank abandonment processes but our technicians are experts. We can take care of all your septic tank needs. Safety is always key at Skip Wooten Septic Service. Contact us today, with any questions regarding your home, future home, or business. Whether you need a septic inspection for signs of trouble or are buying or selling a home, we can quickly and affordably help you. Even new homes can have septic issues. Get the knowledge you need from the professionals. A professional inspection of your residential or commercial septic system is more than making sure your toilets flush. Make sure your investment is in working condition before you buy. Grease traps can be the single biggest hassle for restaurants and commercial kitchens if not cleaned regularly. Grease trap maintenance performed on a routine schedule keeps drains flowing smoothly Skip Wooten Service Contracts can help prevent costly back-ups, and keep your business up and running. Grease traps are engineered to stop fats, oils or grease (FOG) from entering the sewer lines. Left unchecked, FOG cools, then solidifies and sticks to the insides of the pipes, trapping food particles and other debris. Over time, this solid mass continues to grow until it obstructs the flow of waste water and causes sewage to back up. Schedule regular grease trap maintenance. Make sure that food prep and wash sinks are tied into a trap. Ensure that your trap is properly sized. Train your staff to remove as much waste and food solids as possible from plates and pots before washing. Maintain a cleaning log for code compliance. A drainfield constructed as a prescribed elevation in a prepared area of fill material. All drainfields where any part of the bottom surface of the drainfield is located at or above the elevation of undisturbed​ native soil in the drainfield area is a mound system. Lifting of effluent water to higher drain fields may be required for homes that are unable to get gravity flow to a higher sewer system. Contact us today. The two main components of a typical septic system are the storage tank and the drain field, and if the slope of the land allows, gravity transfers water between them. If topography requires the tank to be located below the drain field, however, the system needs a lift station. Because it’s crucial to the operation of the system, it’s good to understand how your lift station works. Our lift stations are composed of a tank that is 300 to 500 gallons, a pump and a control panel that contains an alarm system. Lifting of effluent water to higher drain fields such as a mound system. For homes that are unable to get gravity flow to a higher sewer system. Larger systems can contain two pumps that alternate or one pump will operate in the event one pump fails. Contact us today. (Also known as low-pressure pipe systems) may offer an alternative where soil and topographical conditions do not permit placement of a conventional septic system. These are used to distribute large amounts of effluent water to the entire drain field to spread out the saturation. This is especially true where the topography requires the drain-field to be located up-hill from the septic tanks or where there is uneven terrain that would otherwise preclude placement of a conventional system. 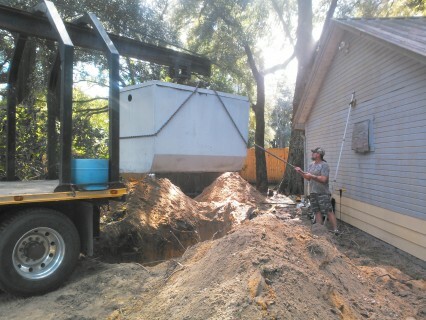 Skip Wooten Septic Tank Service, Inc. has been serving Dade City, Zephyrhills, South Sumter County, Webster, Bushnell, East Pasco County, East Hernando County, Ridge Manor and Wesley Chapel for 40 years. Family owned since 1974. Our customers know that when they call us, the job will be done right and for the right price. Septic tank and drainage problems can become huge headaches, but Skip Wooten can offer the relief—and peace of mind—you deserve! Skip Wooten Septic Tank Service, Inc is a family owned and operated local business, so you know that your satisfaction is important to us. Skip Wooten Septic Tank Service, Inc is fully licensed and insured. Our employees are knowledgeable, hard working, trustworthy, and personally trained. Our reputation is our business! Call Skip Wooten today for your free estimate! I would recommend Skip Wooten Septic Tank Services to everyone! One morning I got a call that my septic tank was bubbling sewage. I live out of state and needed this taken care of right away. Skip handled my call with the same urgency I felt. Turned out to be roots from the hedge had grown into the drain field lines. I didn't know a permit was necessary but he knew and did all the leg work for me. He also got the permission to relocate the drain field so that roots will no longer grow into my new drain field. Skip's quote was right on target with what a construction friend of mine from another Florida county told me it should cost; so I knew there was no reason to look elsewhere. Skip was easy to work with; prompt, courteous, patient, returned my calls and answered all my questions with great knowledge. He put me in a comfort zone with my first phone call. He followed through on his word to email the photos since I was out of state. He comes from the old school of hard work, honesty, a man of his word, and treating others with respect. My only wish, is that he did other things so I could utilize his services, i.e., A/C, plumbing, electrical, etc. God Bless you Mr. Wooten! This world needs more people like you! -Lin L.
Let Others Know How We Did!